The Tai Ji Quan Promotion class will conduct by CCA weekly in Christchurch during this period from Nov. 2008 to Nov. 2009; it will be once a week with 3 hours teaching and practicing. It will be free to the public. Will have a text book written by Mr Yuxun Tang, the book has already been published. TAI JI QUAN is traditional Chinese shadowboxing has got a long history and popular as it is easy to lean and easy to practice without the need of any facility, also, it does not need and particular venue. We have many Asian and local people are learning and practicing in Canterbury. The coach we are going to invite is Mr. Yuxun Tang who is the successor of Chinese traditional TAI JI QUAN. 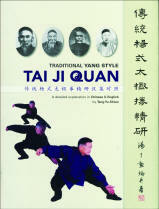 He has been studying in TAI JI QUAN for over 70 years with a high qualified for coaching it. We would like to promote this programme in the greater Canterbury area. --Promote Chinese Culture in the greater Canterbury area by encouraging residents' participation, support and involvement in Chinese performances. --Provide access to Chinese culture for locals and visitors in Christchurch. --Develop accessible programmes to inform and educate audiences. --Present public forums during the performance for enjoyment feedback, and studying Chinese culture. CCA will bring diverse communities of Christchurch together, including Asians, local people and international visitors and students. We will use projectors so we are able to present subtitles for different ethnic groups in the audience. From research on the involvement in culture activities carried out by Christchurch City Council, we know that locals have a high level of motivation to take part in art activities. We have strong confidence that the audiences will be well represented.